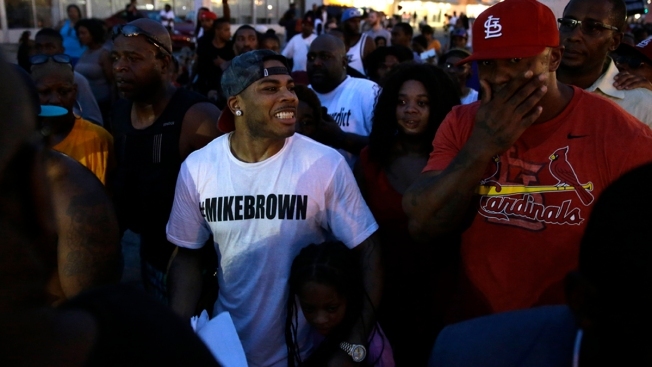 Rapper Nelly, center, walks the streets with protesters Monday, Aug. 18, 2014, in Ferguson, Mo. The Aug. 9 shooting of Michael Brown by police has touched off rancorous protests in Ferguson, a St. Louis suburb where police have used riot gear and tear gas and Gov. 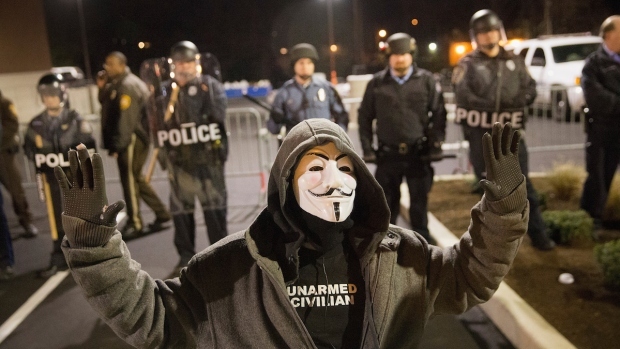 Jay Nixon ordered the National Guard to help restore order Monday. Others in rap also have lifted their voices: Talib Kweli, like J. Cole, marched in Ferguson and spoke out about injustice; David Banner appeared on CNN; Nelly started a scholarship for teens in honor of Brown; and Lauryn Hill dedicated her song "Black Rage" — which uses some of Rodgers and Hammerstein's "My Favorite Things" — to the Ferguson community. While a number of members of the rap community have come out in support of Ferguson — including Russell Simmons, Killer Mike, Young Jeezy and Wiz Khalifa — others have wondered if hip-hop's most prolific and popular stars will chime in, from Jay Z to Pharrell to Kanye West to Lil Wayne.